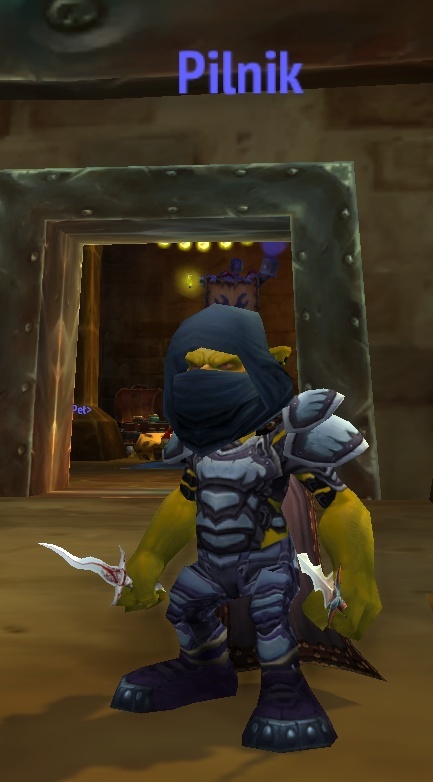 After I loaded in for the first time, I quickly loaded up with heirlooms and started to look more like a Rogue, and less like a short, squatty and green Han Solo. 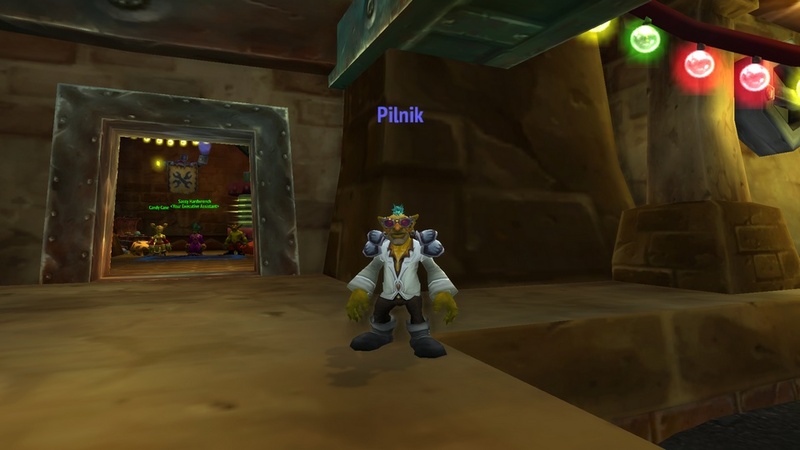 As I was questing, I have to say that I really like the Goblin starting zone; it’s certainly unique, and having leveled many characters over the years, something completely new was very nice. I especially liked how my “associates” all had titles that pointed out their roles in my new toon’s life. I enjoyed it even more after some things went down, and they referred to themselves as my former <insert job>. 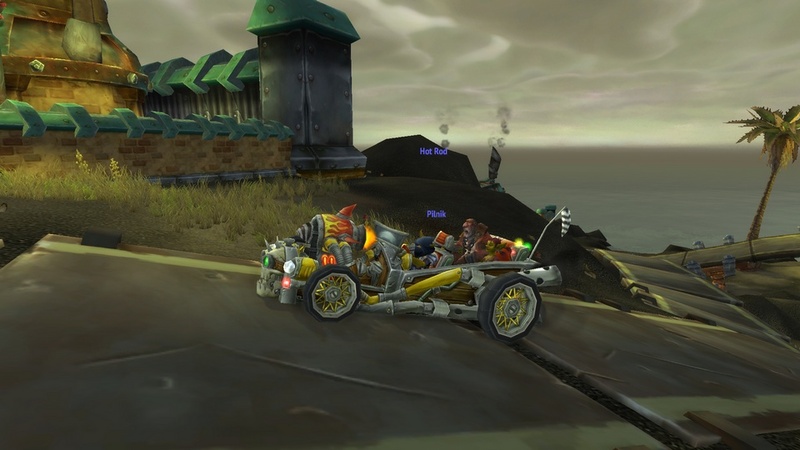 Probably my Favorite series of quests involved riding in a Hot Rod. 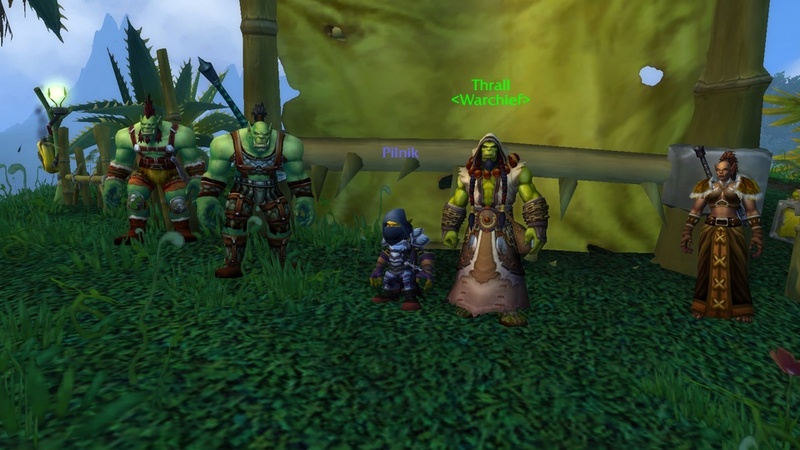 As I’ve stated, I’ve never played seriously played a Horde toon before, and I knew that greed and acquisition were traits that Goblins had, but I never realized to what extent. 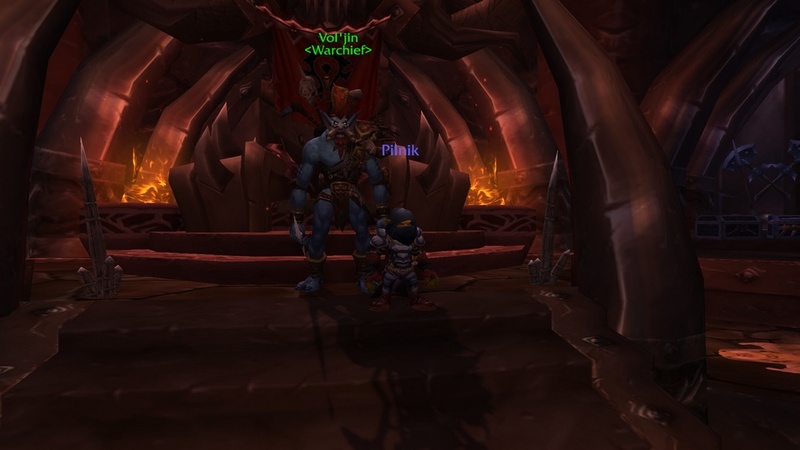 Apparently Goblin society is very obsessed with status and material objects. That seemed to be a driving force in the intro questlines. 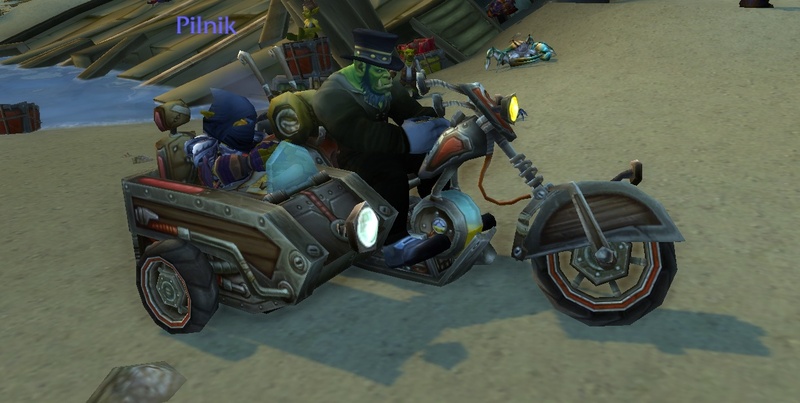 Speaking of driving, the Heirloom motorcycle is nice, but I really enjoyed the Hot Rod. I certainly hope I can pick one of those up at some point. 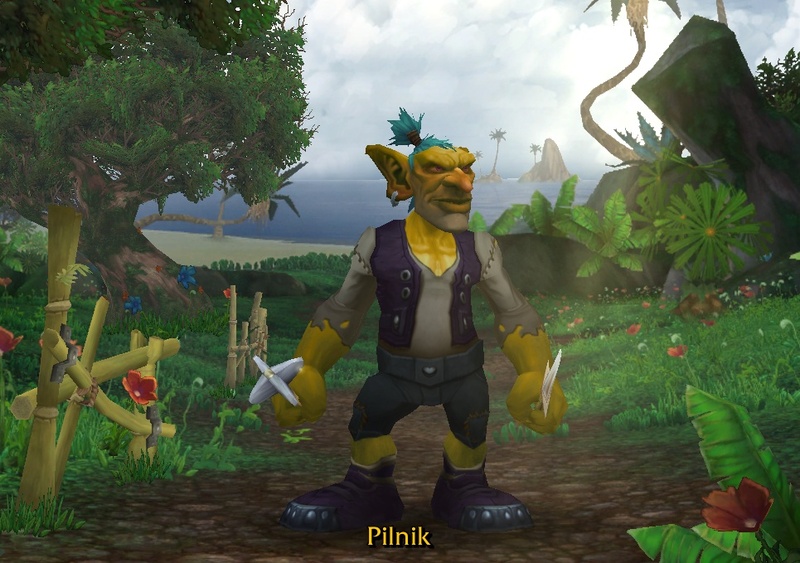 If not, that’s something Blizzard needs to work on ASAP. 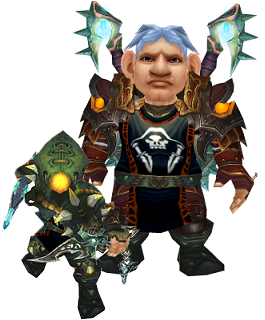 I certainly have enjoyed the change of style and pace so far, and I’m looking forward to spending some more time playing Horde. I thought I’d wrap up with a few pictures of m exploits so far. 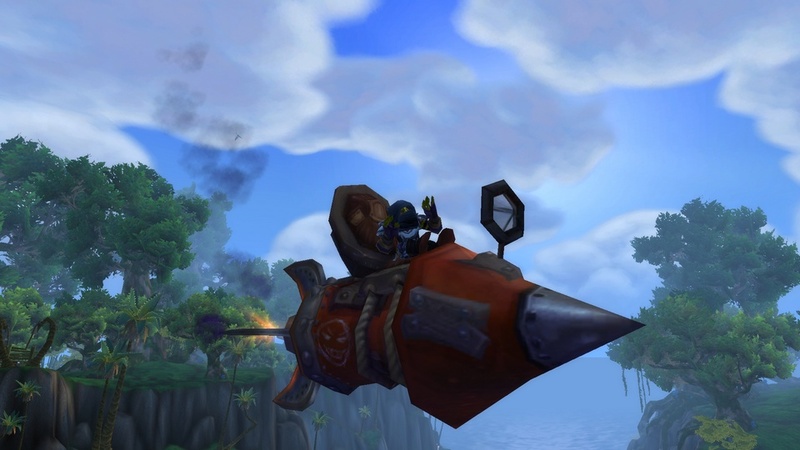 I’ve survived the Cataclysm, rode on some sweet vehicles, met a Warchief or two and got over my apprehension of entering a base with Horde flags.